This entry was posted in Gardens, Writing notes and tagged border line, courgettes, french beans, hurricane Bertha, leeks, proof-reading, runner beans, vegetable plot by hilarycustancegreen. Bookmark the permalink. Hmm, but they are also extraordinarily greedy, so you have to prepare a big trench and fill it with wet newspaper and healthy soil, especially in our area where the soil is so thin and poor. I should really give all the other poor plants in the garden the same attention, but I can’t eat most of them. 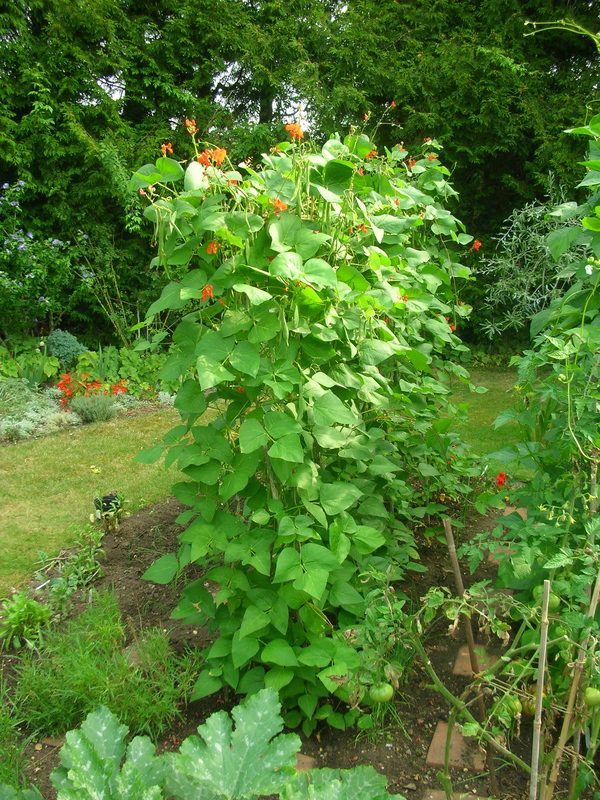 The runner beans look superb and I hope your canes hold up if Bertha does arrive. We have robbed all the plants that have finished flowering of their canes and reinforced the structure for the beans. I think I can guarantee the non-arrival of Bertha now. Thanks, have I managed to share my time between the two today. It is just arriving now, but so far only very wet and blustery, though I think this is just the start. Hopefully, the beans are secured. Those beans look delicious! And good luck with the proofreading, I know it can definitely be one of the more tedious parts of the writing process. I love runner beans. To eat, and to look at the gorgeous red flowers. My Grandpa used to make a runner bean pickle because his were so prolific it was impossible to get through them all fresh. 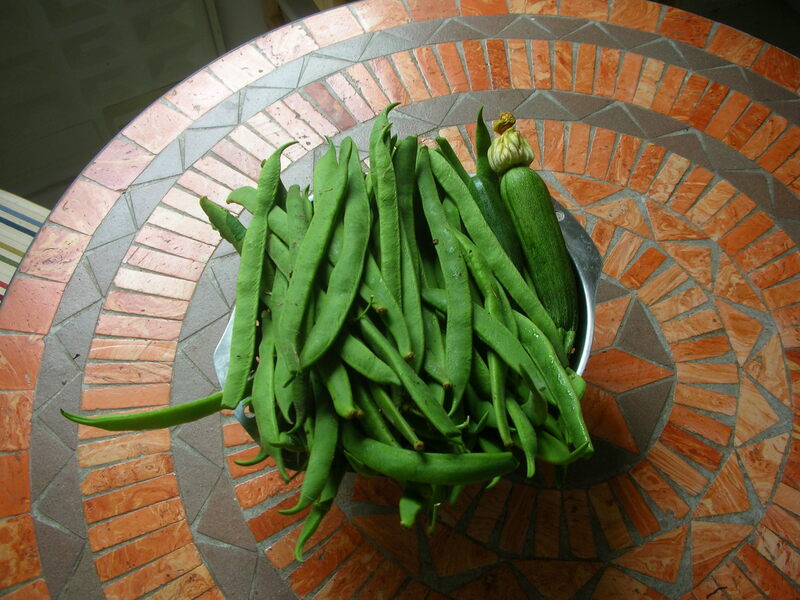 Yes, runner beans are wonderful to grow, as they are not edible by the time they get to a supermarket (and I like them smallish), but when they go they go, I never thought of pickling. Absolutely, but most progress hurts a little, though the rewards are great. They do look pretty. Thank you for bringing me back to this post. Now I can see when the beans started yielding last year.